Aloha friends! I am keeping quite busy these days enjoying my sister's visit, keeping up with an online class and revising some of my TpT products. 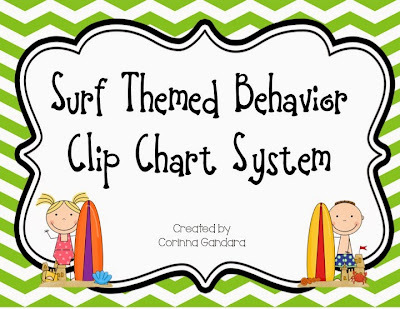 One of my favorite items that I created and use in my class is my Surf Themed Behavior Clip Chart. When I made it I really had no idea how much my kids would love it and how popular it would be with other teachers! My kids absolutely loved getting up to Cowabunga! 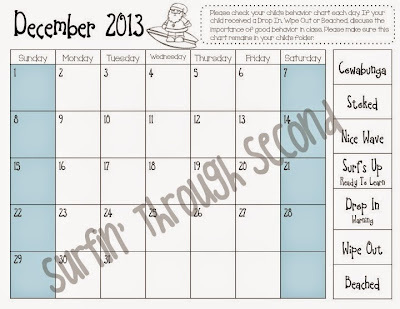 I had one little guy write in his memory book that surfing up to Cowabunga was one of his best memories. I have added a few things to this chart to make it a well rounded system in my classroom this year. 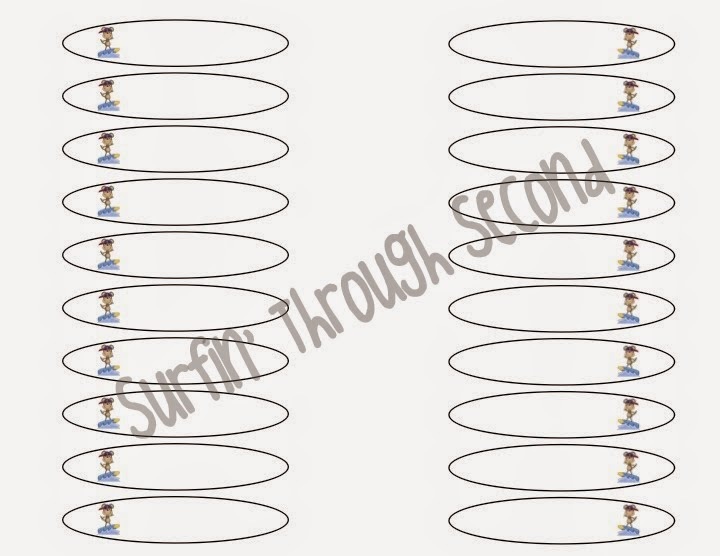 Coupons to give students if they Surf Up to Cowabunga. 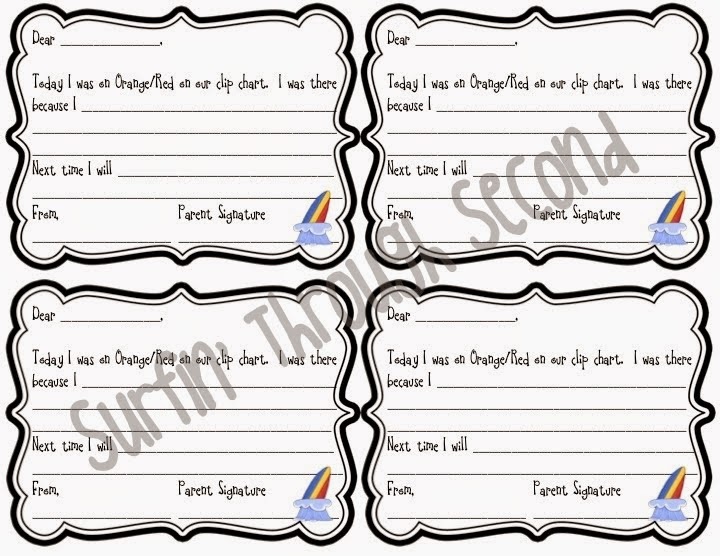 Clip labels that you print students names on. I wanted to make them colorful, but the chart was already so colorful that I just kept them white. Simply place the file in a powerpoint program, type in students names and print them out. You can glue them right onto your clothespins. If you have already purchased this item then just re-download it and grab all of these new goodies. If you would like to win a copy leave me a comment with your email and I will pick a winner tomorrow night. What a cute idea. I love the lingo and I think my kids would get a kick out of it. I bought your chevron paper and have started using that to create my labels. 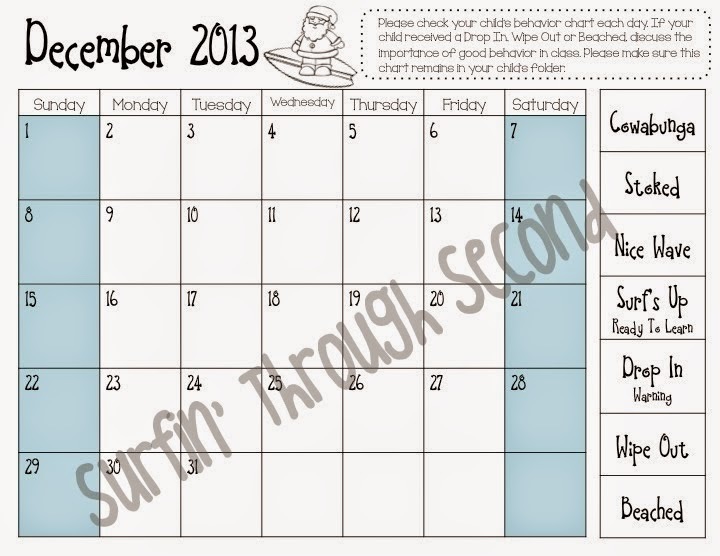 This would match so well, Just need to see how often I actually get to teach my class! I already love the clip chart system and you have just made it that much cuter!!! Adorable!! I love this. 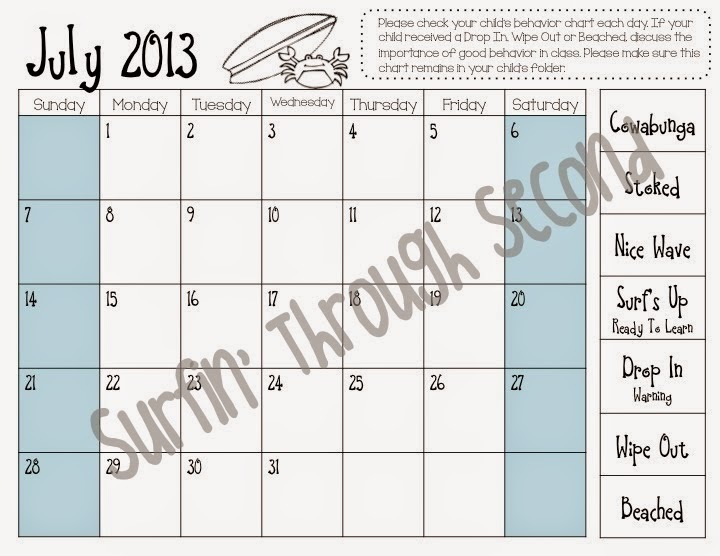 Gives students the opportunity to get rewarded for their good behavior. Love the calendars!! I am changing my theme next year and this would be perfect. I love that you are working on positive behavior. The calendars are a bonus! 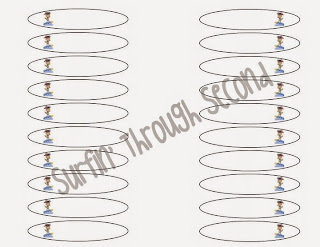 Love the surf theme and the lingo! The kids will love it! This would go great in my classroom! I love it! I really like your clip down choices! I don't always like to call a kid's parents, but sometimes they need more than one warning! I would love to win one! What a cute idea! I love the extras you have added with the clip chart.